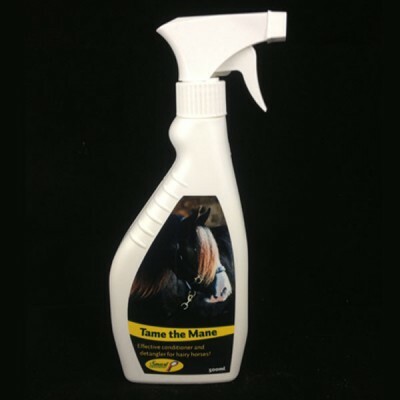 Smart Grooming Tame the Mane is an effective detangler and conditioner spray which is ideal for hairy horses. Provides tangle-free, easy to manage manes and tails in no time. Prevents breakage, can be used all year round and can also be sprayed on to thick feathers to keep clean and easily managed. There are currently no questions for Smart Grooming Tame the Mane for Horses - be the first to ask one!